"in a perfect world, everyone would have a glass of Champagne every evening"
At Wine Watch we do have a glass of Champagne almost everyday and on some days we have a whole bottle! 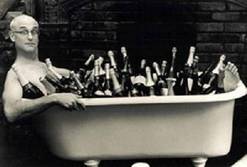 Tuesday March 13th we have seven different Champagnes open at the Wine Bar from one of our favorite producers Nicolas Feuillatte and a surprise visit from Olivier Zorel. 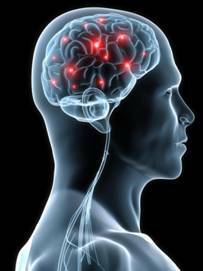 And with the news that Champagne is good for your brain (scientific evidence in this e-mail) you may want to have Champagne twice a day! This is a last-minute addition to our Wine Bar schedule this week, so we will not have a menu available other than what we are serving for the Champagne tasting at the bar on this night and the charcuterie and cheese selections on menu section of this e-mail. The menus for the rest of the week; Thursday, Friday and Saturday are at the end of this e-mail. Hope to see you at the Wine Bar soon!! This tasting is only $55 + tax and we only have space for 20 people this evening, for reservations call 954-523-9463 or e-mail andy@winewatch.com. Aged partially in oak barrels for 4 years, and made exclusively from Premier Cru and Grand Cru wines, the Cuvee 225 is certainly not lacking in character. With its generous, flavourful aromas, the oaky touch remains subtly integrated and never overpowering, resulting in an unctuous, well-balanced palate. The Demi-sec is aged in our cellars for at least 2 years, even though the legal minimum ageing requirement is only 15 months.Its dry and slightly sweet character is beautifully balanced on the palate. Several cru make up the blend. Nicolas Feuillate, always a lover of the finer things in life, celebrates his passion for Champagne surrounded by his own wines. In 1976 he brought together the land, the vineyards and the growers to create the marque which bears his name. Today, over thirty years later, it remains as fresh and lively as it ever was. 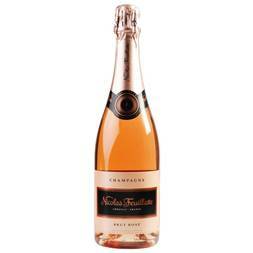 Nicolas Feuillatte made his first cuvees of Champagne in the early 1970’s on his own 12 hectare Montagne de Reims estate, Domaine Saint Nicholas. 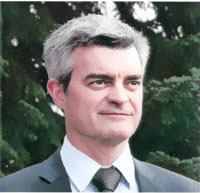 In 1986 he associated himself with the Centre Vinicole de la Champagne (CVC), an organization of growers at Chouilly who control vineyards in the various regions of Champagne. The Centre Vinicole de la Champagne (CVC) is the leading producers’ co-operative and the third largest winemaking cellar in Champagne. It belongs to around 5,000 growers or roughly one in every three throughout the AOC region (there are approximately 15,000 growers in Champagne). The men and women who belong to the CVC have a profound knowledge of their appellation and have focused on producing wines that reflect the quality of grapes that they grow. 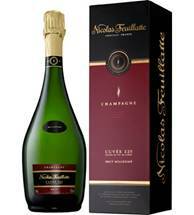 Their goals are to produce excellent quality individual blends for their members and the development of their own marque-Nicholas Feuillate. The CV-CNF’s fruit supply is thus sourced from 13 of the 17 Champagne Grand Cru vineyards, 33 of 42 Premier Crus and 259 of 320 other Crus from the Champagne appellation. From the Marne Valley to the Côte des Bar via the Saint-Thierry Massif, Montagne de Reims, Côte de Sézanne and the Ardre Valley, le CV-CNF can rely on the professionalism and exacting standards of more than 5,000 grape growers. The winery is situated at Chouilly just outside Epernay at the Northern end of the Cote des Bancs, the cellars of CVC – Nicholas Feuillate are opposite the Montagne de Reims and overlook the Marne Valley. They are situated right on the point of convergence of all three major Champagne regions, the cellar is logistically placed to utilize the musts from 84 co-operative presses (40% of the harvest) used by 4,000 growers, 170 privately owned presses (40% of the harvest) used by 920 Growers. Each of the 254 pressing centers which deliver juice to the CVC – Nicholas Feuillate, has been checked and accepted by the Institut National des Appellations d’Origine (INAO). The pressing centers are all located as close as possible to the vineyards themselves in order to keep transport time for the harvest to a minimum. This allows the fruit to be delivered healthy and intact in whole bunches to the presses, an essential condition for making good quality Champagne. Strict quality control checks are carried out on each batch of fruit as it arrives for pressing on its appearance, ripeness and sugar content. 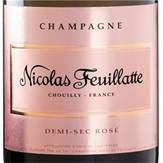 CVC – Nicholas Feuillate makes its base wines from a massive diversity of origins and qualities. 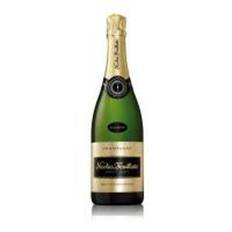 It also has all its members, its wholesale and distribution customers and its Nicholas Feuillate marque to satisfy. This means that it has to create an impressive number of different cuvees from every vintage. This means in turn that our cellarmaster and his team of oenologists and technical staff must vinify over 60 different base wines classified by cru, area of production and grape type to use as elements in all these blends. The highest expression of their winemaking ability is shown in the Premier Cru wines and the Palmes d’Or cuvee which has won a number of prestigious awards in recent years like; Certificate of Excellence- 1995 Masters of Wine London, Silver Medal- 1996 International Wine Challenge London, Medaille d’Or- 1996 Concours Mondial Bruxelles & many more. The firm annually produces about 1 million cases. They focus on four items, the Brut Premier cru, Brut Premier Cru Rose, Grande Cuvee Palmes d’Or, and the Cuvee Speciale Premier Cru. The Brut Rose is a blend of 10% Chardonnay, 60% Pinot Noir, and 30% Pinot Meunier, it is aged for three years en triage and released on its fourth year. The firm makes two vintage dated Champagnes. The first is the Cuvee Speciale, this wine is an assemblage of 40% Chardonnay, 40%n Pinot Noir and 20% Pinot Meunier. The second is a blend of 40% Chardonnay, 20% Pinot Noir, and 20% Pinot Meunier. This wine is aged for 9 years en triage and is the expression of a lifestyle, elegant, intense, and especially seductive.